Elombe Brath was a revolutionary Pan African. Seventy-seven years old when he made his transition, Elombe was a walking encyclopedia of African history. He was a fighter, thinker, very talented graphic artist and a dynamic, often humorous speaker. Above all, Elombe Brath was a teacher. He raised the consciousness of so many people — particularly young people — about the real history of Black people in Africa and the Americas. Elombe Brath helped lead the struggle to preserve the African Burial Grounds in lower Manhattan. Like the late Gil Noble, whom he worked with for years as an invaluable associate, Elombe told it “like it is.” He sounded the alarm over every new imperialist intrigue against poor people. If you wanted to struggle, you respected Elombe and wanted to know what he had to say. 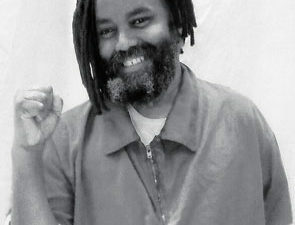 For last year’s tribute to Elombe, world renowned political prisoner Mumia Abu-Jamal recorded a message from his prison cell, telling of his “admiration and affection” for him. Workers World Party comrades also admired Elombe Brath. Our party’s first secretary, Larry Holmes, was part of a delegation that attended Brath’s memorial on May 31 at the Abyssinian Baptist Church in Harlem. Adam Clayton Powell Jr.’s church was packed. Among the assembled was a delegation from Namibia. Elombe Brath fought for decades in supporting SWAPO’s [the South West Africa People’s Organization] armed struggle to win Namibia’s freedom from apartheid slavery. Elombe did everything he could to support SWAPO leader Sam Nujomo. Like Amilcar Cabral — the leader of the liberation struggle in Guinea-Bissau — Elombe Brath told no lies and claimed no easy victories. He was the loving father of seven children and beloved companion of Nomsa Brath, who survives him. It was ironic that Elombe Brath died on May 19, the birthday of Malcolm X. On May 19, 1990, Elombe Brath came to a Workers World Party meeting that was being held to honor the birthdays of both Malcolm X and another former resident of Harlem — Vietnamese communist hero Ho Chi Minh. Elombe said that he was so glad that there was a meeting in New York City to commemorate the birthdays of both these revolutionary leaders. Elombe shook hands with Sam Marcy, the founder of our party. Like Malcolm X, Elombe Brath was a truth teller. His weekly radio show on WBAI — Afrikaleidoscope — was an educational weapon that reached thousands weekly with the latest news of struggles in Africa and the Diaspora. Afrikaleidoscope was also filled with beautiful music by African and African-American artists. Elombe Brath was a lover and collector of music, particularly of jazz. Along with his beloved friend and comrade, the late Samori Marksman, Elombe Brath formed the Patrice Lumumba Coalition, which fought against apartheid and every form of colonialism. Elombe and Samori were the vanguard in fighting not only for South Africa’s freedom, but also for the MPLA [the Popular Movement for the Liberation of Angola] in Angola and FRELIMO [the Mozambique Liberation Front] in Mozambique. Elombe Brath also supported revolutionary Ethiopia. The overthrow of Ethiopia’s revolution was a tragic consequence of the Soviet Union’s destruction. As one of the founders of the December 12th Movement, Elombe popularized the slogan “Africa called, Cuba answered.” Two thousand Cuban soldiers are buried in Africa, where they died defeating the Nazi armies of apartheid South Africa. Elombe always defended Cuba. In 1992, he was an endorser of the “Peace for Cuba” rally that packed New York City’s Javits Center while 15,000 counterrevolutionaries were forced to freeze outside. Elombe Brath was invited to Cuba to listen to Comrade Fidel Castro describe how the Angolan and Cuban soldiers, along with fighters from SWAPO and the ANC [the African National Congress], destroyed the apartheid army at Cuito Cuanavale in Southern Angola. Nineteen months after South Africa retreated across the Angolan border, Nelson Mandela walked out of prison. Elombe Brath was also a firm supporter of Zimbabwe, where the land has been given to its rightful owners, the African people. He hailed the overthrow of Africa’s shame, Mobutu Sese Seko, the U.S. puppet dictator in Congo who had helped to murder the great African independence fighter, Patrice Lumumba. Elombe went to Congo in 1997 to interview Laurent Kabila and presented the hour-long interview to over 200 people at the Victoria 5 Theatre in Harlem. As a youth, Elombe was a follower of Carlos Cooks, the leader of the African Nationalist Pioneer Corps. Cooks was an associate of the Honorable Marcus Garvey. In 1995, Elombe Brath emphasized that Pennsylvania Gov. Tom Ridge wanted Mumia Abu-Jamal executed on August 17, the 107th anniversary of Marcus Garvey’s birth. Elombe worked tirelessly to save Mumia’s life. 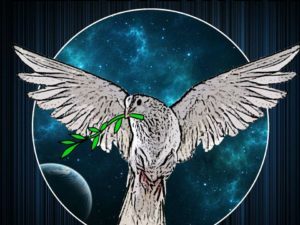 Workers World Party along with many other organizations and individuals — above all sisters Pam Africa and Ramona Africa — stopped the executioners and helped get this revolutionary off death row. Now, we must fight to free Mumia, the MOVE 9 and all political prisoners. We need to tear down the walls brick by brick and bring home hundreds of thousands of prisoners to their families. Elombe worked tirelessly to free political prisoners, including Dhoruba bin Wahad. Brath also fought to free the Central Park 5. After Nelson Mandela was freed from prison in 1990 and came to New York, Elombe Brath played a key role in making sure that the ANC leader visited Harlem. On the speakers’ stand with Nelson Mandela was Dhoruba bin Wahad, who had been framed by Cointelpro [the secret, nefarious program of the FBI, directed at eliminating progressive and revolutionary leaders and organizations]. The capitalist class did not appreciate that at all. There, in Harlem, Elombe passed a message to Winnie Mandela that she was standing next to Betty Shabazz. The two sisters embraced. Long live the memory and example of Elombe Brath! 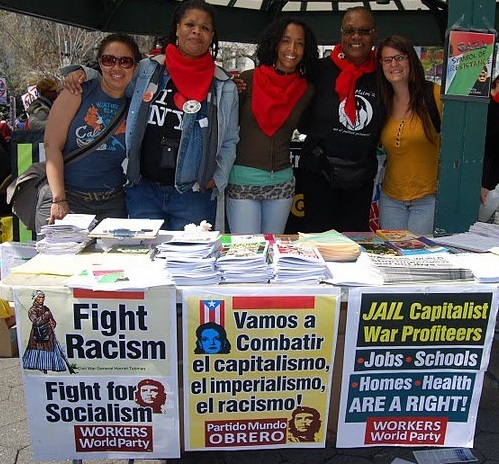 Taken from a talk given at a June 6 Workers World Party forum in New York City.